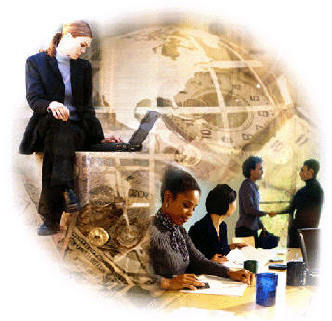 The globalization of Business has had a significant impact on human resource management. Even though there has been large scale regional integrations, such as the European Union, human resource manage across borders is very different and can be quite difficult for a Human Resource Professional un-accustom to cross border management. The purpose of this course is gain insights into employee relations from a cultural and international perspective. One would tend to think that Human Resource management in one country would be much like it is in another country. There are similarities in the human resource function from one country to another however; due to cultural differences the human resource function can also be quite different. We must first define the Field of Human Resource Management. According to Peter Dowling in International Human Resource Management, “Human resource management is those activities undertaken by an organization to utilize its human resources effectively.” These activities include but are not limited to, human resource planning, staffing, performance management, training and education, compensation and benefits, and labor relations. We must consider what, if any, changes to the above definition occur when a company goes international or global. When the human resource activities are spread across different countries therefore, different types of employees must be considered. Employees from the parent company or Parent Company Nationals (PCNs), this is the expatriate manager or technical professional assigned to a different country. The next type of employee is the Host Country National (HCNs), this is an employee of the company form the country which hosts the subsidiary. The last type of employee is a Third Country National (TCNs), these employees are from a country that is neither the host nor the parent country. This expatriate also may be from another subsidiary owned by the parent company. These multi-country nationals lead to issues generally not associated with Human Resource Management (HRM), such as international taxation, international relocation, administrative services for expatriates, and government relations. For example D.L. Pinney discusses tax reimbursement for expatriates because expatriates are subject to international tax and often have domestic tax liabilities; it is therefore incumbent on a company to provide tax equalization. If there is no tax equalization much of the incentive and motivation for the overseas assignments would be lost. I know from my own experience on expatriate assignments how well or how poorly some of these other functions are performed will determine whether the expatriate will have positive or negative feelings about a particular assignment. My last assignment in particular, was one in which these functions were not provided for or very well thought out. Most of the research into requirements and services was done by me prior and during my assignment. Human Resource management approaches vary from company to company depending on their individual stage of internationalization. Peter Dowling describes these as ethnocentric which is key decisions are made at Headquarters and few foreign subsidiaries have any autonomy. Polycentric this is, the individual subsidiaries have autonomy over themselves. This occurred most when there were substantial barriers to trade. Geocentric is the company takes a global and strategic view and a worldwide approach. Regiocentric is similar to geocentric however, the perspective and decision making is handled by a regional headquarters. These above stated degrees of internationalization are also the degrees by which the HRM is measured. When a company is in very early stages of internationalization such as exporting the HRM functions can be handled without any additional burden to the HR department. However, when a company reaches the next stage of internationalization the sales subsidiary, some degree of the above mentioned requirements will need to be considered. These considerations are due to the assignment of an expatriate sales manager or the hiring of a local sales manager in the host country, or possibly a combination of the two. In most western countries this would not be too much of a concern as there are usually firms that may be contracted for these functions in the United States one such firm is Administaff, please see their web site, listed in the bibliography, for more details on their services. In the next stag of internationalization, the international division, the IHRM functions and planning must be considered, according to Stopford and Wells, in the 1960s most U.S. manufacturing firms stumbled into manufacturing abroad without much design. These investments today would not be successful because the competitive market in the world has changed substantially since then. After World War II the United States and Canada were the only countries in the world whose manufacturing capabilities were not destroyed, from then until the early 1970s, North America was in a position to exploit most of the worlds markets. Subsequently, this has been changing as we can see from the Japanese and German automobile manufacturing worldwide. Mercedes, BMW, Toyota and Nissan all have manufacturing plants in the United States as well as other countries in addition to their local manufacturing in their parent countries. International Human Resource Managements main function is to sustain business operations. Human Resources are a firm’s main asset. In order to remain competitive a company must retain, educate and train its personnel. International Human Resource Management must be provided the ability to attract the right candidate. This is not and has not always been the view of companies, as recently as the 1980s employees were seen as an expense to be cut and not an asset to be nurtured. A large number of people would argue that this is still the view of many companies. If we look at a company like Hewlett-Packard, we can see this is the view of the present CEO, Carly Fiorina. Ms. Fiorina has cut about 25% of its global work force, most of these cuts were from the parent company’s domestic staff, while maintaining record profits, up 30% sequentially from the year before, and maintaining Ms, Fiorina’s substantial compensation package of roughly $13M/annum. Some of the different perspectives of the global or multi-national enterprises pertaining to international transfers of personnel are aligned with the corporate view of the company as discussed above. In the ethnocentric view the senior management and technology experts would all be parent country nationals. By utilizing PCNs the subsidiary maintains links with the parent company. There is not much room for a host country national to be promoted to corporate headquarters. With a polycentric staffing approach the host country nationals occupy management roles in their host country. Again, there is not much room for a host country national to be promoted to corporate headquarters. The geocentric approach assigns the most qualified candidate to the most appropriate position. There is room for advancement by parent country nationals, host country nationals and third county nationals. Employees from all subsidiaries and the parent have an equal chance for advancement. Finally, the regiocentric approach would allow host country nationals to be assigned to a regional headquarters however; there would be little chance of an assignment to corporate headquarters. Rosenzweig explains that this approach may allow a multinational enterprise to gradually shift from a ethnocentric or polycentric approach to a geocentric approach. Issues exist in staff selection, while it may be acceptable for a country to accept staff from a parent country for an expatriate assignment; often they are reluctant to allow a third country national a work permit. The preference would be for the position to be filled by a host country national. However, for the purposes here we will discuss the selection criteria. Firstly, the technical ability which is, does the candidate possess the requisite skills and managerial capabilities required to fill this position. For example Hixon, found that selection was based on technical ability and a wiliness to reside abroad. Another factor is cross-cultural suitability, will the candidate be able to function in the new environment, how adaptable is a person, does he have the requisite language ability, a positive attitude and emotional stability. There also may be family considerations, such as do the spouse and children see this assignment as positive experience. Another family consideration is whether or not the spouse is working; the chances are quite high that the spouse will not be able to obtain a work permit in the assigned host country. Another function not related to expatriate assignment is the staffing of a local subsidiary in a host country. It is advisable to hire local Human Resource Management to staff a local subsidiary in that the local HR professional will be more familiar with the legal requirements and hiring practices. However, the local HR professional must be managed by the parent companies IHRM to ensure that fair practices are adhered to, for example it would not be very good practice if the local HRM hired his or her entire family it may even be illegal. Many western countries also have issues with Equal Employment Opportunity (EEO). The legal definition and coverage of these laws vary. In the United States Title VII of the Civil Rights Act of 1964, covers many of the EEO issues. In EEOC v Arabian American Oil Co, The Supreme Court has held that this act does not apply outside the territorial borders of the United States. This law would not apply to a U.S. citizen expatriate in any other country but the United States or its territories. Much has been written on the subject of selecting staff for International Assignments. Phillippe Lasserre discusses some of the selection criteria as Tolerance of ambiguity, the ability to function in a foreign environment. Behavioral flexibility is being able to vary one’s behavior according to requirements. Sociability and interest in other people, and goal orientation, achieving ones goal despite barriers are other factors in staff selection. As stated above family also may impact on the selection of expatriate personnel. Particularly, as more and more spouses are working and children may not wish to leave friends and other family behind. Anne Harzing explains there are some companies that include spouses in the selection process, although people in the United States see this as a barrier to personal freedoms, to have the company so involved with the personal affairs of a given family. It may prove that preparing the family as well as the expatriate employee will reduce expatriate failure. Expatriate Failure is the early recall of an expatriate from an assignment. For example if the expatriate was initial assigned to a subsidiary in France for three years however, due to his family’s inability to adapt to the new living situation the employee’s work started to suffer he or she may be recalled after only one year. Expatriate performance management is another consideration of a multinational enterprise. As with most employees an expatriate must be evaluated on his or her performance. This issue becomes more complicated in that the expatriate may now be reporting to someone in the Host Country subsidiary. The expatriate may feel he is better served by an evaluation of his performance by someone in the parent company. The reasoning being, is that the expatriate will return to the parent company upon completion of the assignment. Additionally, the “out of sight, out of mind,” axiom may be a concern; the expatriate does not want to be forgotten while on an assignment. Other issues of concern to either the expatriate or the company’s HR department is whether or not to use a standard or a customized employee appraisal form, the frequency of the evaluation and performance feedback. Performance appraisal of Host Country Nationals is another concern of IHRM. The cultural differences of the parent and host countries may make the use of the standard appraisal system unworkable. J. V. Kiovisto explains a likely appraisal of a French employee by a Japanese manager; the Japanese manager can not directly criticize an employee’s work. He may start by discussing all the good work the employee is doing on a general level. He may then explain the consequences of a mistake of the type made by an employee, without directly stating that the employee made such a mistake. The employee is then supposed to understand his mistake and how to correct it. This example is only one in a great many cross cultural issues that may exist in appraisal system in place within an organization. The IHRM department must exercise caution and understand the cultural environment in place within the subsidiary company. It may be preferable to set forth general guidelines for the appraisal system and allow the HRM department within the subsidiary company to develop or modify existing systems to comply with the general guidelines. Once an expatriate is selected, pre-departure training will make the expatriate more successful or perhaps, not a failure. Part of this training is cultural awareness, a well designed cultural training program can be extremely helpful as it seeks to foster an appreciation of the host countries culture so the expatriates behave accordingly, Peter Dowling goes on to cite an example of the Middle East, in this region emphasis is placed on personal relationships, trust and respect; couple this with an emphasis on religion that permeates every aspect of life. Another example of a Middle Eastern cultural difference, it is considered impolite in the Middle East to show the bottom of your shoe or foot therefore, crossing ones legs in the Middle East is impolite as your host or guest would see the bottom of your shoe or foot. There are other examples of course, we have all heard of the “ugly American,” who when told a price in local currency has responded by asking “how much is that in real money.” Needless to say, the local currency IS real money. Another example is, the French have a beautiful language and would prefer to use their national language particularly in France. If an expatriate is assigned to France, French language lessons would probably make him or her more successful. These language lessons should also be provided to the expatriates family, at no cost to the expatriate. Developing international compensation policies requires that it be consistent with overall corporate strategy, structure of a global corporation. The policy must be competitive and take into account incentives for Foreign Service, tax equalization and reimbursement of expenses. Other factors that determine whether or not the compensation package will be acceptable to the potential expatriate are social security, health and medical benefits, and cost of living factors in the foreign location. The main components of an international compensation plan are base salary, Foreign Service inducement, allowances and benefits. The base salary in domestic terms is the cash compensation, bonus and benefits are in addition to this amount. For an expatriate the base salary is a primary component of the compensation package, of which Foreign Service inducement, cost of living allowance and other costs may be a percentage of this amount. Foreign Service inducement can vary from country to country. U.S. Department of State has published hardship post differential guidelines to determine level of payment. While the hardship guidelines may dictate a high differential cost the Cost of Living Allowance (COLA) may tend to pull this figure down. It is difficult to determine the actual cost of living in a particular country. One method to determine cost of living is according to Philippe Lasserre, Purchasing Power Parity (PPP) which is for example, a cup of coffee that cost $5.00 in New York City may cost €6.00 in France due to spot exchange rates these would be identical in cost however, the housing in Paris may be more than in New York City. To determination this can be quite extensive, housing costs must be considered, as must the cost of entertainment and food. Another cost that should be considered is education costs for children. The spouse may also decide to attend school at the foreign location to fill in any gap in the employment record she may be encountering due to her husbands foreign posting. Care should be exercised in the selection of schools both for the children and the spouse as the accreditation of the foreign school may not be acceptable in the home country. Most international schools in Europe have an acceptable accreditation in the United States. At the university level the “American University,” in London has a Untied States accreditation, please see their web site listed in the bibliography for more information. Another complexity is benefits; the payment into 401K accounts can have tax ramifications in the host country. It is also not possible to defer these payments because this creates an excess contribution and becomes a taxable event, for more information on 401k accounts please see the Internal Revenue Service web site listed in the bibliography. Another issue is the health and medical benefits and continuation of these benefits upon repatriation into the expatriate’s home country. Socialized medicine in many of the Western European countries has made this a non-issue while the expatriate is on assignment in these countries, or if an expatriate is returning to Europe after an assignment in another country. An assignment to the United States for example, the expatriate and his family would require medical insurance. Taxation is also a concern to expatriate personnel. Some form of tax equalization should be provided to the expatriate employee. While on assignment for Ericsson the tax equalization was provided by withholding taxes for the parent country and paying the taxes in the host country. Centillium provided no such relief however, due to an existent tax treat between the United Kingdom and the United States my tax burden was not doubled. For further information on taxes and treaties it may benefit employers and employee to discuss their individual situations with a global accounting firm such as Ernst & Young. The repatriation process is the most overlooked in the whole of the expatriation assignment. Often a company has not prepared well and in advance for the eventual return of their employees. While it may seem a trivial matter to some, there are many issues for the returning employee and his family. A well thought out plan for repatriation should be at least as well thought out as the departure plan for the expatriate. There should be a physical relocation plan, a transition plan for the employee and an allowance for readjustment. Just as their may have been culture shock in the transition to the expatriate assignment there may likely exist reverse cultural shock on the repatriate and his family. This reverse culture shock should not be dismissed as unimportant. There are also job related factors that concern the repatriated employee. One of these is a clear signal from upper management that career advancement is contingent on successful completion of a foreign assignment. This should be honored upon the employee’s return. Another concern by returning employees is the perceived lack of a suitable position for the returning employee. This can create quite a lot of anxiety for returning employees. It should not be left until the last minute. Ericsson had a policy of explaining the repatriation process and assignment midway through the expatriate assignment. My return to the United States was very well planned. I returned from my Centillium assignment with little planning and no job. There has also been a trend lately to devalue the foreign assignment. People often take foreign assignments to accelerate their careers, if upon return the message that was given by upper management prior to the assignment has not been taken into account; the returning employee may be placed in a lateral or lower position. This will not be perceived well by the returning employee. There may also be a loss of pay or status. As Welch states “Over there, you are the big fish in the small pond. Back home, you return to being the small fish in a big pond.” If there were stated reasons for an overseas assignment these should be stated, and adhered to. In summary for the whole of the Expatriate/Repatriate process. It would be in the best interests of both the company and the employee to enter into this process contractually. The contract can mean the difference between a successful assignment which helps both parties, and a failure which does not help either party. The returning employee could also benefit in that he could be guaranteed a position upon return or a salary guarantee for a specified period, which would tend to reduce anxiety. J. Stopford and L. Wells (1972) Managing the Multinational, London-Longmans.